Combines proven eco-efficient technology with customer-driven design, elevators can fit for a wide range of buildings. Fully automatic production line of landing doors. The whole production line is put into production order with the company ERP system, it can automatically complete feeding materials, punching, cutting, folding, glue, welding and automatic packing and other processes. 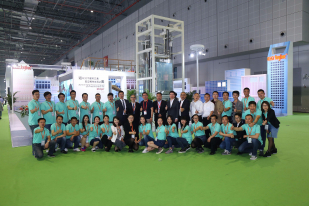 Space-saving and energy-efficient(Class A) elevator for mid to high-rise building, reliability, eco-efficiency and comfort. With both solutions for traction system, Joylive gives you an elevator that can run in all types of buildings. 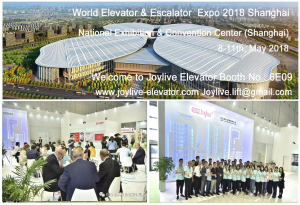 Joylive is a respected provider of elevators and escalators with an unmatched heritage offering a range of elevators, escalators, and moving walks. Joylive seeks to provide high quality and effective products and a full range of advanced solutions. 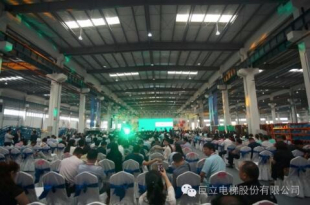 Ceremony of Joylive new manufacturing center put into production.